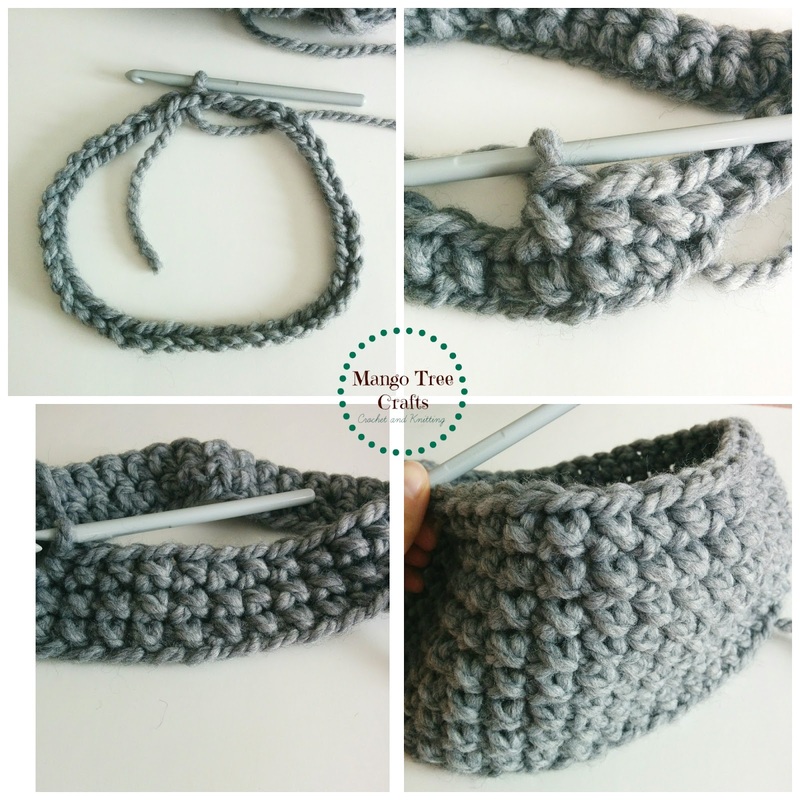 This bulky crochet cowl is fast and easy to make – I was able to crochet one in half an hour using a super bulky yarn (#6). I made it using a slightly modified single crochet stitch (it looks like cross stitch hence the name), but the result was very impressive! 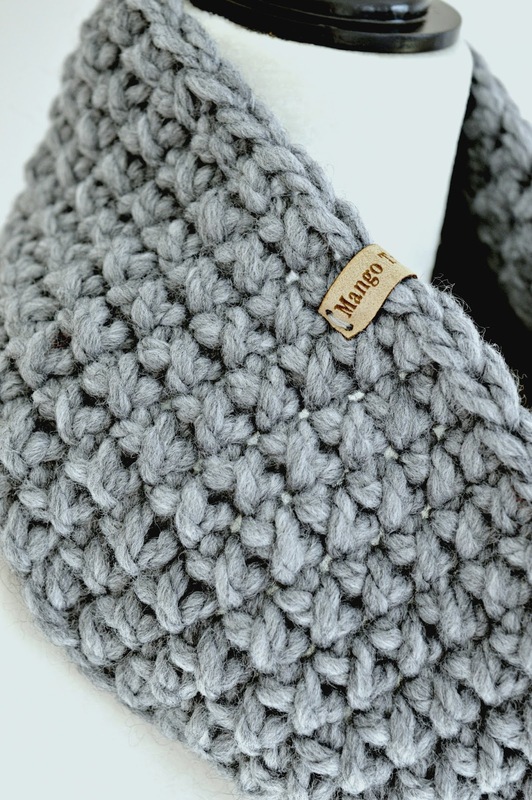 The crochet cowl is simple, yet rich in texture. 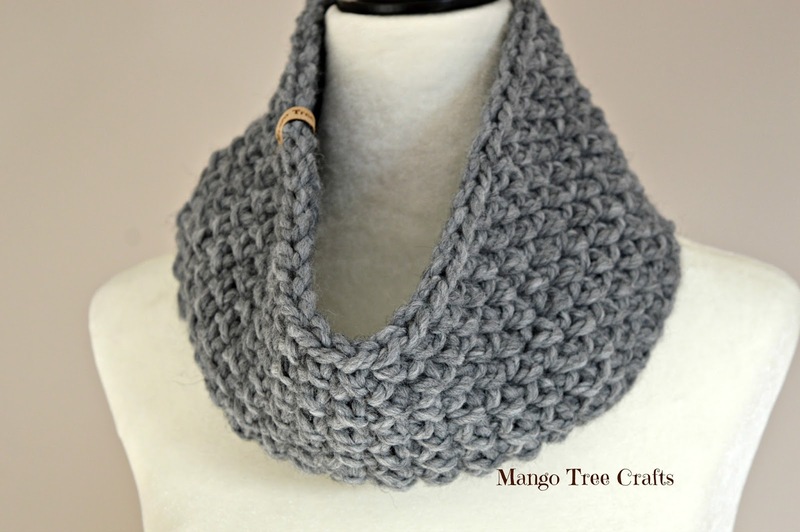 It is unisex (can be worn by both women and men) and great for gift giving. This pattern includes a video tutorial on how to make the cross stitch single crochet. In this short video above I show and explain how to crochet a cross stitch single crochet (CSSC). (Written instructions following). To work Cross Stitch Single Crochet – insert hook into next stitch. DO NOT make yarn over the hook, instead with hook pointing down grab the yarn and pull up a loop, yarn over and pull through two loops on hook. Finish round #9 with a SL ST. Cut off yarn and weave in ends.